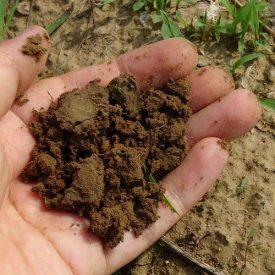 Learn all about best practices for soil management, from analysis to action! Through a combination of lecture, hands-on activities, and teamwork, attendees will learn about soil texture, chemistry, and biology, and how to interpret soil test results. Speakers will introduce innovative applications to address soil problems, meet stormwater requirements, restore construction-impacted soils, and develop a soil management plan. And the day will end with a discussion of best practices to promote long-term soil health, and the science behind why mulch matters even more than you may know! This program is designed to educate landscape professionals about the vulnerable nature of marine shorelines and provide guidance and instruction on how to better initiate, design, and implement successful landscape and restoration projects on upland buffers, shorelines, steep slopes, and beaches. Speakers will discuss critical area planning, mitigation projects, and focus on the importance of using native plants in shoreline landscape and restoration projects. The public is being educated about the need for better management of shorelines and steep slopes, resulting in rising public demand for professional services. This is an optimal time to train landscape professionals in the specifics of designing, planning, and installing projects on marine shorelines and other sensitive areas. Grow Your Own Native Landscape: A Guide to Identifying, Propagating & Landscaping with W.WA Native plants. By Washington State University Extension. “If you use native plants, there’s hope for slopes.” Valerie Easton. The Seattle Times. March 10, 2012. Native Plants for Western Washington Gardens and Restoration Projects. By Washington Native Plant Society. Native Plant Resources. By King County Northwest Yard & Garden. Nurseries with Native Plants. By Hansen’s Northwest Native Plant Database. ‘Good Bug’ photo guide. By Local Hazardous Waste Management Program in King County. Nearshore Habitat – How Bank Armoring & Overwater Structures Shape the Health of Pacific Salmon & Steelhead. By NOAA Fisheries Service. Green Shorelines for Lake Washington and Lake Sammamish. By Lake Washington/Cedar/Sammamish Watershed. Invasive plants are a significant threat to biodiversity and ecosystem function. New introductions continue to emerge through a variety of pathways and vectors, while existing invaders continue to persist and expand their range. Changes in climate, land use, and biotic interactions present new challenges in controlling the spread of these invaders. Land managers and scientists will hear the latest information on how to effectively prevent, detect, and respond to these persistent and emerging threats. Conference presentations, both invited and contributed, will stimulate dialogue, raise new questions and offer innovative solutions. 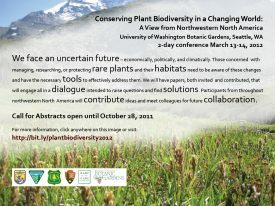 Participants from throughout northwestern North America will contribute ideas and meet colleagues for collaboration. Up by Roots is a one-day workshop on October 15 that highlights the principles of soil science and their use in facilitating the growth of healthy trees and developing water efficient landscapes. Healthy soils absorb and hold water and nutrients needed to grow long-lived trees. These same soils retain runoff and preserve water at the site, reducing the need for irrigation and limiting potential impacts on nearby water sources. This is a hands-on workshop that includes lectures and field work intended to introduce the underlying scientific principles guiding tree biology and soil-water relations. 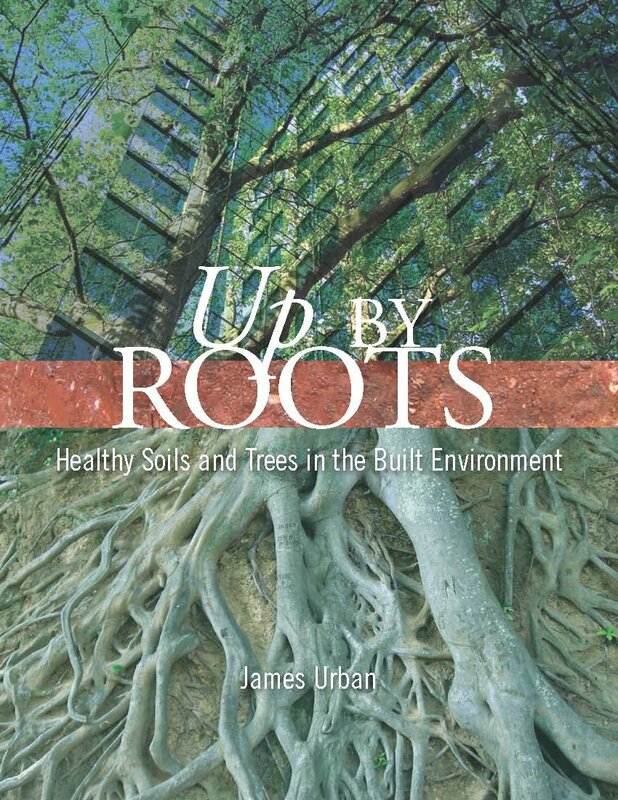 It is only through a healthy respect of these guiding principles, that one can effectively design, install, and manage soils and trees in the urban landscape. James Urban, FASLA, ISA is a landscape architect with over 30 years of experience in the field of urban development. This workshop combines Jim Urban’s extensive experience with contributions from local experts to address regulations and conditions specific to our area. Presentations will be relevant to urban foresters, landscape professionals, consulting arborists, tree care professionals, urban planners, landscape designers, sustainability professionals, landscape architects, municipal managers, land managers, and planners. 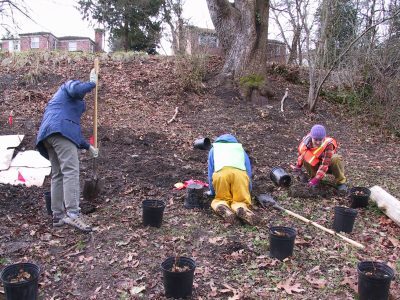 Since 2006, University of Washington Botanic Gardens has partnered with local organizations and agencies to deliver quality instruction in the field of rain garden and stormwater design. See below for information on current and past workshops. October 23-24, 8:30a.m. – 4:30 p.m.
Below, you will find the presentations from seminars and workshops designed to help landscape architects, contractors, designers, builders, architects, planners, and engineers start using innovative “Low Impact Development” strategies for on-site stormwater management. Chris Webb, PE, Chris Webb and Associates, Inc.
Bioretention Soils: How much can we engineer soils? Introduction – Why Green Roofs and Cisterns? Chris Webb, P.E., Chris Webb & Associates Inc.
Best resources are in bold. Ecologically Sound Lawn Care for the Pacific Northwest – see sections on soil prep, and topdressing. Search the Internet under “compost berms” and “compost blankets” for current information. “Porous Pavements,” by Bruce K. Ferguson; Taylor & Francis Group, 2005. “Green Roofs: Ecological Design and Construction” by Earth Pledge; A Schiffer Design Book, 2005. Search the Internet under “green roofs” and “eco roofs” for current information. We face an uncertain future – economically, politically, and climatically. Those concerned with managing, researching or protecting native plant communities, rare plants and their habitats need to be aware of these changes and have the necessary tools to effectively address them. We will have papers, both invited and contributed, that will engage all in a dialogue intended to raise questions and find solutions. Participants from throughout northwestern North America will contribute ideas and meet colleagues for future collaboration. 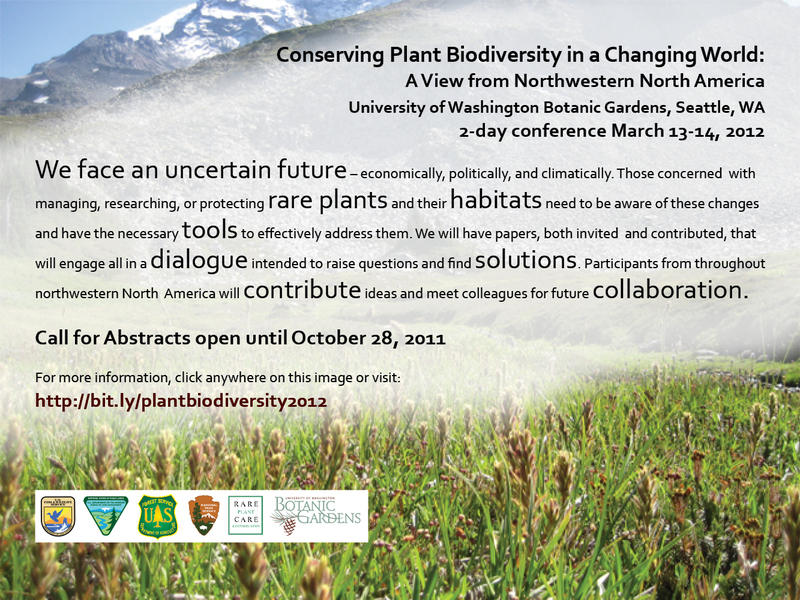 Thank you to all of the contributors, volunteers, artists and attendees who helped make the 2012 Plant Biodiversity Conference a success! We hope that the working groups formed at the end of the conference will take the next steps and take action to advance our mission of managing, researching and protecting native plant communities, rare plants and their habitats through policy, research and education. October 4, 2011 The Science and Practice of Sustainable Sites: Watering without Waste! The May 18, 2011 workshop explored the science behind and intent of the Sustainable Sites Initiative with a focus on how the SITES guidelines can transform our urban ecosystems, horticulture industry, and design and construction practices. Educational sessions and small group dialogue identified current obstacles and brainstormed ways to hurdle them. The day built cross-disciplinary relationships, with focused discussion among a diverse professional community. Urban Design and Sustainable Sites: Dual Performances or Dueling Performances? Can Nurseries Meet the Objectives of SITES? *Presentation posted with permission; authors retain full copyright.